In our towing company, our rollback fleet of tow trucks are on the highways of your city, state, and region every day. With our 19 ft and 21 ft flatbeds, we are able to transport a variety of different vehicle make and models including passenger vehicles, vans, pick up trucks, and more. Our medium duty tow trucks have the right equipment to any large size vehicle like construction equipment, dump trucks, tractors, and more! When you are driving a medium-sized vehicle, it is a bit more complicated than just calling any towing service; you need somebody who specializes in towing a vehicle of this particular weight and size. Learn more about our tow trucks near you. When you spend many hours on the highway in a large vehicle you need to know what to do if you face any defect, downfall, or an accident by knowing a towing service near you so that you’ll know who to call in any situation. Speedy G Towing can assist you with all of your heavy duty towing needs. Skidding off the road during a snow storm or getting into car accidents more than often require a recovery service. 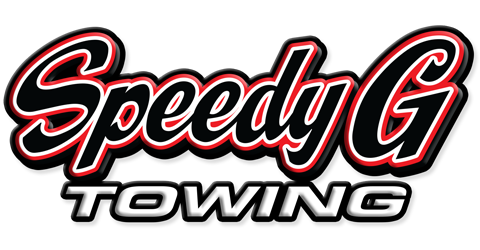 Speedy G Towing’s best-trained professionals will provide the most suitable service your vehicle needs. For example, if your vehicle needs a flatbed towing or any other tow truck service, the driver will tow it to the appropriate body shop or local mechanic. You will not wait long no matter where you are. Speedy G Towing understands the importance of getting your vehicle towed or helping you in any roadside assistance service. Rely on us for quick and efficient towing and roadside assistance services. No matter the time or weather, Speedy G Towing is open 24/7, 365 days a year. 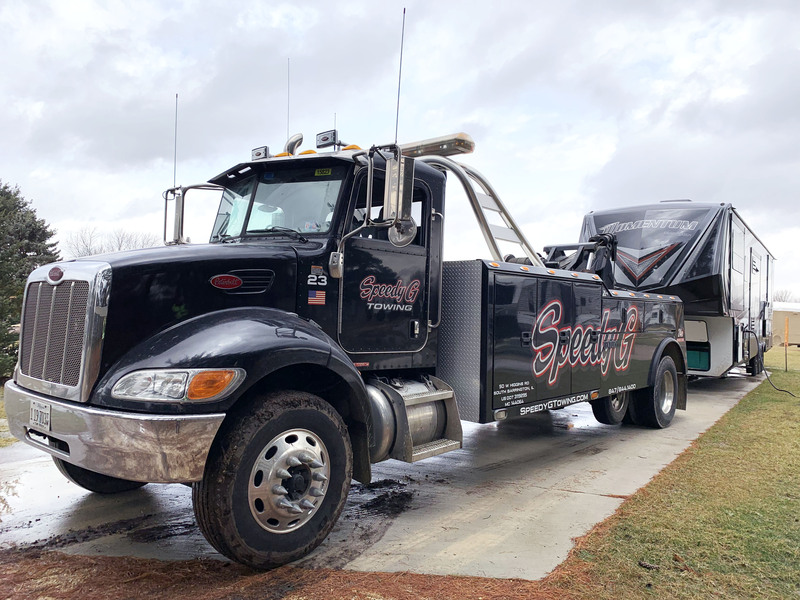 With several dispatch and flatbed trucks, top of the line equipment, and local towing service, any customer can trust the professionals for the services they need. Check out our homepage for towing near you! Speedy provides highway and interstate roadside assistance and towing coverage throughout Chicago’s western suburbs. Roadside assistance and towing is available along I-90, I-290, I-294, I-355, I-88, 53, 55, and 59. Check out our coverage area here.